Astronomers. 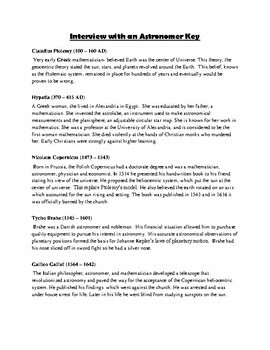 History of Space Discoveries. Space Scientists. Research. Bring drama into your science class and engage your students in their learning. 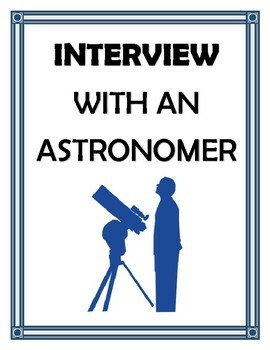 Students will research the significant contributions of astronomers throughout history and will write an interview where one student plays the scientist and the other student the interviewer. 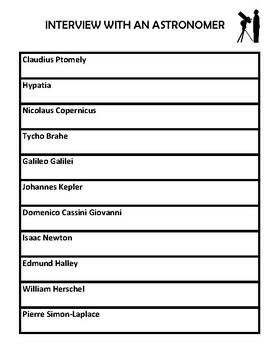 A template for fact-finding is included with a list of significant astronomers in order of discoveries. 21 astronomers are included. 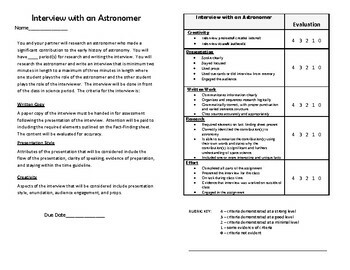 The criteria and rubric for assessment is included. There is also an answer key.